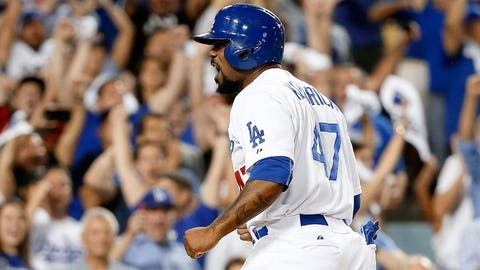 Howie Kendrick has spent his entire 10-season career in Los Angeles. The Arizona Diamondbacks are having ongoing discussions with free-agent second baseman Howie Kendrick, although no deal is close, according to major-league sources. Kendrick, 32, is one of nine remaining free agents who rejected a one-year, $15.8 million qualifying offer as the offseason began. Kendrick is a career .293 hitter who posted a strong .746 OPS last season for the Los Angeles Dodgers. The Dodgers, however, seem prepared to begin the season with a combination of Chase Utley, Micah Johnson and Enrique Hernandez at second base. The Diamondbacks have a number of internal second base options, including Chris Owings, Brandon Drury, Aaron Hill and Phil Gosselin. 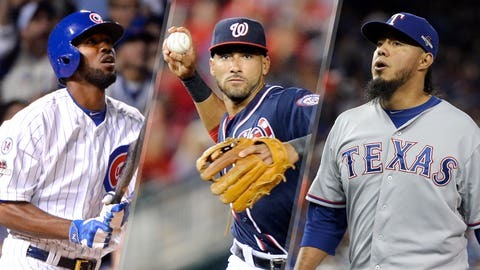 Nonetheless, Arizona tried to acquire second baseman Brandon Phillips from the Cincinnati Reds earlier this offseason. Kendrick’s overall market remains unclear, largely because relatively few contending clubs are interested in upgrading at second base this winter. But the Los Angeles Angels — who traded Kendrick to the Dodgers one year ago — could be one such team.